What have we learnt and how will it inform the future? There is little doubt that the entrance and exit user surveys undertaken as part of this project are the world’s largest e-book surveys – there were over 40,000 responses to the surveys. The deep log analysis of the MyiLibrary platform has provided real time empirical data of how students and staff use course text e-books to study and teach. In addition, these behaviours will inform the development of new business models. The data is of relevance to everyone in the e-books market and JISC Collections wishes to share it to help develop a market that is based on real evidence. We welcome you to join us at the workshop. The aim of this workshop is to look at the findings from the project and think about what they mean and how they can be used at a practical and strategic level. Following a brief introduction to the project and the findings from Caren Milloy, JISC national e-books observatory project manager, four speakers will present what they have learnt from the project, what it means to them in their role and how they intend to use the findings to develop their role and their organisation’s strategy. It is hoped that by presenting the findings in this way, delegates will not only be able to identify with the speakers but see the picture from a number of perspectives. The workshop will end with discussion and questions. 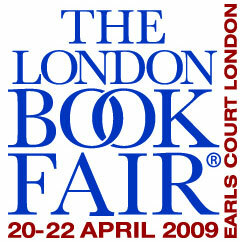 Admission to the session is free, but advance registration is required for the session and the London Book Fair.